The way we pamper our skin can make a massive difference in how youthful it feels and the way it looks. 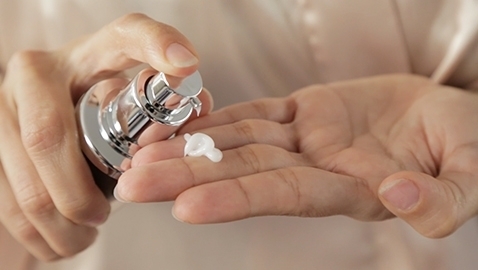 In this guide, we offer a variety of daily, nightly, and weekly routines based on the most common skin care concerns so you can best address them. Be advised these are only general recommendations. 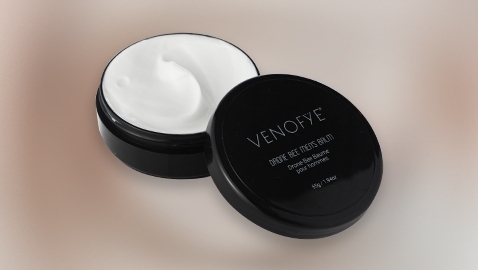 Those who have visited an in-store Venofye representative may have received more individualized instructions. Please consult your physician or dermatologist regarding medical conditions. Apply on palms and massage into face and neck. Rinse with cool water and pat dry. Using a cotton pad, apply toner on face and neck. Avoid the eye area. Once skin is dry, apply 1-2 pumps on fingertips and gently massage into skin until fully absorbed. Dot cream under the eye area. Gently massage until absorbed. Apply evenly on face and neck, allowing cream to absorb into skin. Apply on palms and gently massage into face and neck. Rinse clean and pat dry. Apply 1-2 pumps on fingertips and gently massage into skin. 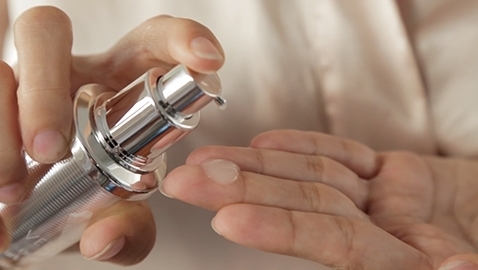 Once serum is fully absorbed, gently dot cream under the eye area. Lightly pat this in until cream is absorbed. Apply evenly on skin. Gently massage into face and neck using circular motions. On dry skin, apply and massage in circular motions. Rinse clean with warm water and pat dry. Apply evenly on face and neck. Leave on for 10-15 minutes. 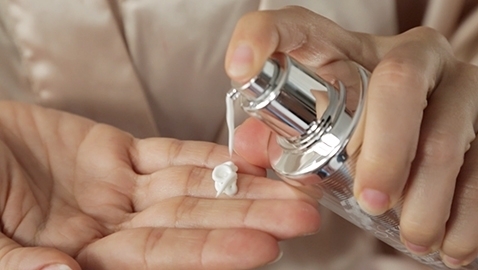 Massage into skin and watch as droplets begin to form on the surface of the skin. Allow droplets to fully absorb and disappear. Do not rinse off. Remove each mask from its packaging and apply them to the under-eye area. 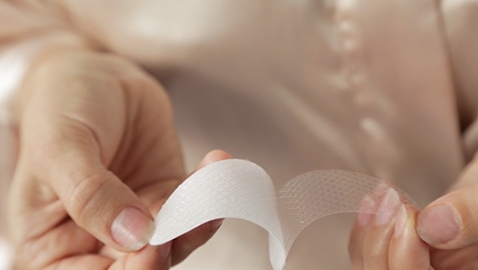 Smooth the masks with your fingertips until they lay flat on your skin. Repeat using the face mask. Leave on for 15-20 minutes. Rinse with cool water and gently pat dry. On dry skin, apply and massage in circular motions. Then rinse with warm water and pat dry. Once skin is cleansed and dry, apply an even layer of the mask on the face and neck. 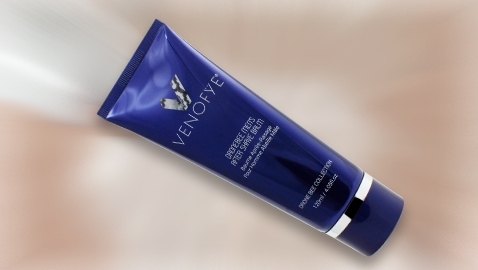 If available, add 2 drops of the ViperLift Bio Serum and massage this on top of the mask using gentle circular motions. Leave on for 10-15 minutes before rinsing well. Pat dry. Apply evenly and liberally on skin. Massage into skin until fully absorbed. Apply on palms and massage into face and neck. Rinse with cool water. Pat dry. Apply toner on cotton pad and gently sweep over face and neck. Avoid the eye area. Once skin is cleansed and toned, apply serum evenly on face and neck. Focus on areas of concern and massage into skin until fully absorbed. Gently dot cream under the eye area and lightly pat this in. Apply evenly on skin and massage gently until absorbed. 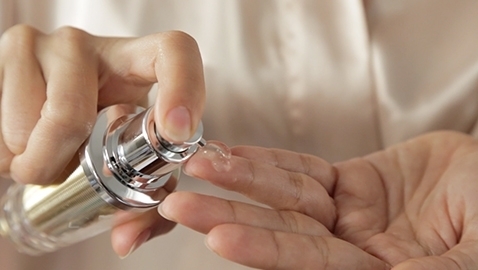 When skin is cleansed and dry, apply and massage into skin using gentle circular motions. Dot cream under the eye area and pat this in until fully absorbed. Apply evenly on skin and massage until absorbed. Apply mask on fresh, clean skin, making sure to cover an even layer over the face and neck. Leave for 10 minutes. Rinse with cool water and pat dry. Once skin is dry, apply and massage into skin using gentle circular motions. Apply evenly on face and neck, massaging this in until absorbed. Using a cotton pad, apply on face and neck. Avoid the eye area. On freshly cleansed, dry skin, apply evenly on face and neck. Dot directly onto areas of concern. Pat this in until absorbed. Once solution is absorbed, apply cream evenly on face and neck. Massage into skin until fully absorbed. On freshly cleansed skin, apply evenly on face and neck. Leave on for 10 minutes. Rinse well with cool water. Apply evenly on face and neck. If necessary, massage this in until absorbed. Once solution is absorbed, apply cream evenly on skin and massage in until fully absorbed. Apply evenly to skin. Gently massage into face and neck using circular motions. 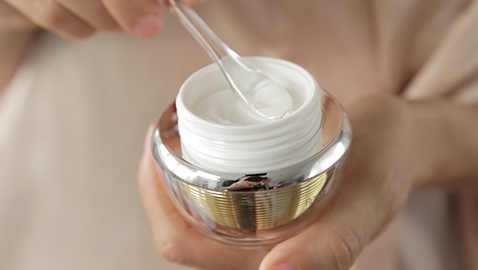 Focusing on fine lines and wrinkles, apply a small amount around the eyes. Gently pat this in until absorbed. Apply under the eye area. Gently massage this in using circular motions until fully absorbed. Peel off the plastic liner on the packet and immediately apply the Royal Jelly Bee Rejuvenation Mask under each eye. The more tapered end of the mask should be placed under the corner of the eye so that the wider end of the mask is placed below the eye’s outer edge. 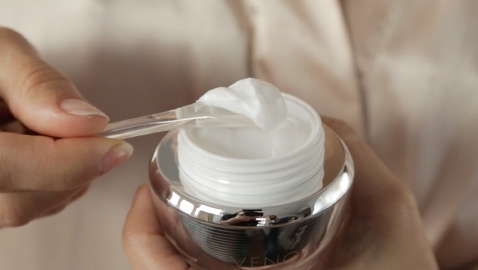 Tap and smooth the mask gently with fingers to ensure good contact with skin. Leave mask on for 15-20 minutes, then rinse. Once serum is fully absorbed, apply Beelift by gently pressing on the top of the applicator, dispensing a small amount of solution. Sweep the applicator across the under-eye area to distribute solution evenly. If necessarily, lightly pat into skin until fully absorbed. On clean, dry skin, apply serum evenly on face and neck, focusing on areas of concern. Apply evenly on skin and massage gently until fully absorbed. Once skin is cleansed and dry, apply an even layer of the mask on the face and neck. If available, add 2 drops of the ViperLift Bio Serum and massage on top of the mask using gentle circular motions. Leave on for 10-15 minutes before rinsing well. Pat dry. Apply on skin and massage gently until fully absorbed. Apply gel on face and neck, massaging into skin until a rich lather is achieved. 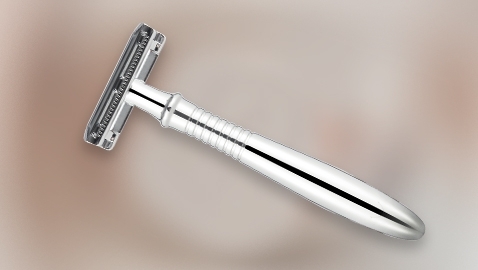 Tensing the targeted area of your skin, begin shaving in the direction of hair growth. Then shave in the opposite direction of hair growth on the same skin area. Repeat on all targeted areas of skin. Rinse clean with cool water and pat dry. On clean, dry skin, apply evenly over shaved areas. Massage this in using gentle, upward movements until balm is fully absorbed.